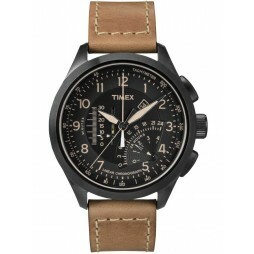 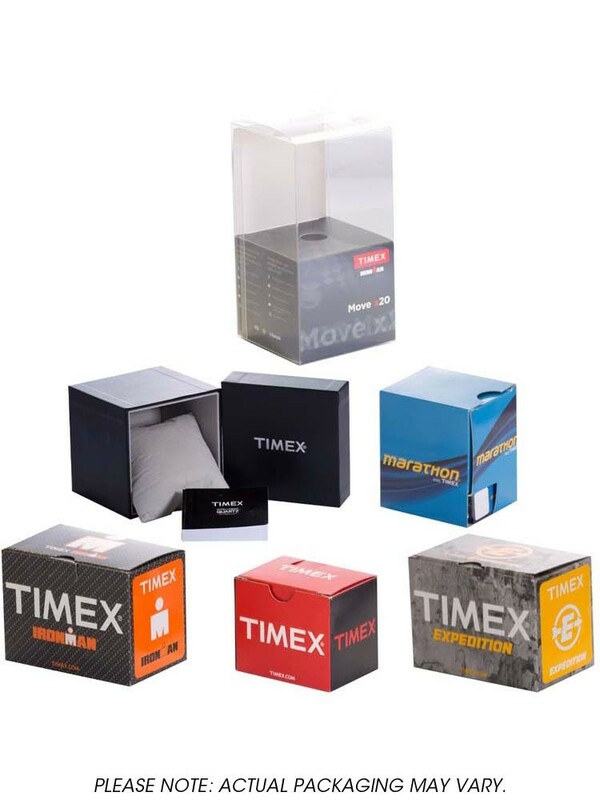 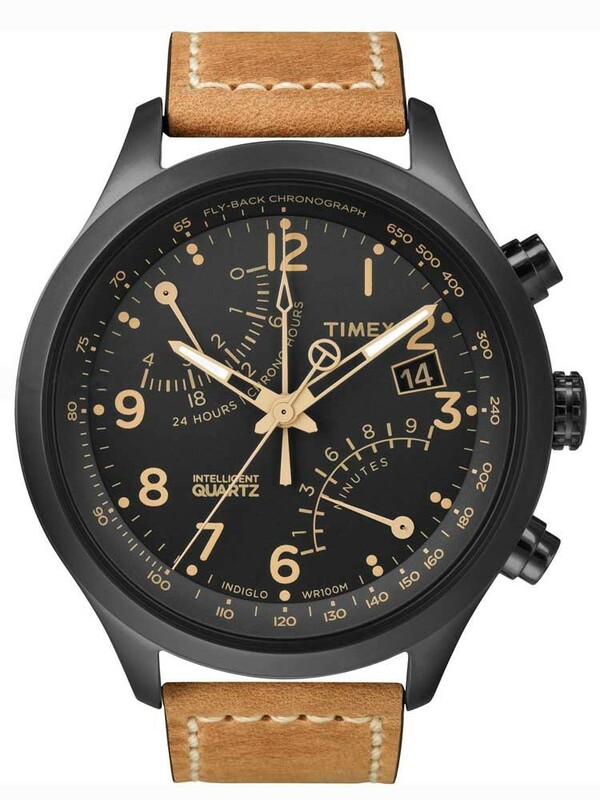 This gents timepiece from Timex has a brown leather strap with traditional buckle fastening. 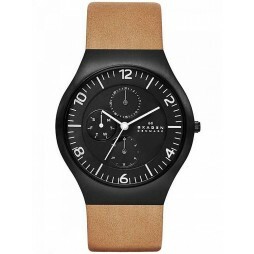 The black ion-plated steel case accommodates the black dial. 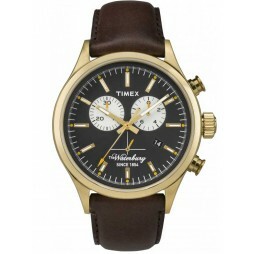 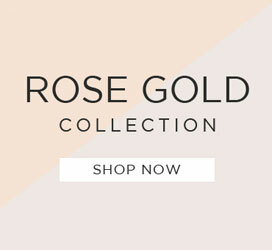 Each hour is marked with a gold numeral marker. 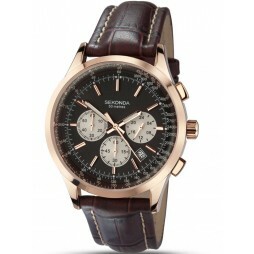 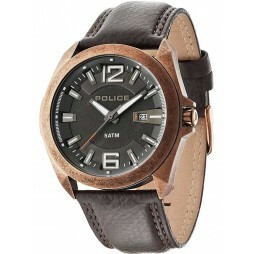 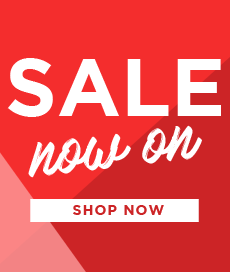 This intelligent watch has functions including chronograph backlight and date.